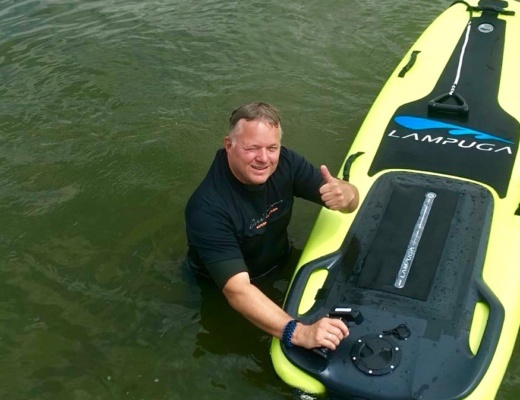 From August 1st 2018 the Awake RÄVIK electric jetboard from Sweden can be pre-ordered. Only 30 units will be available in 2018 for registered users and should start shipping from September. 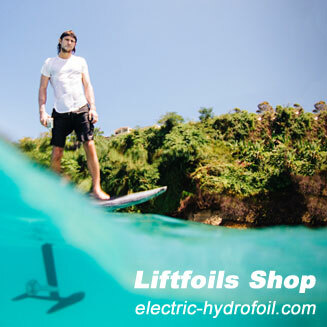 So far Awake from Sweden had only published promo videos of their upcoming electric surfboard. Today we received the first details after their 18 months development and testing time. Awake is run by Philip Werner who used to be the CEO & Founder of Radinn from January 2012 to January 2017 according to his LinkedIN profile. 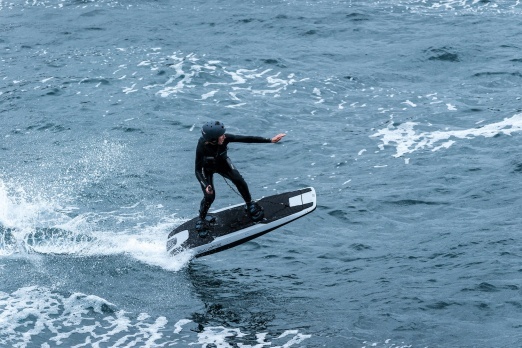 This means the team around Philip should have plenty of experience to design an electric surfboard. 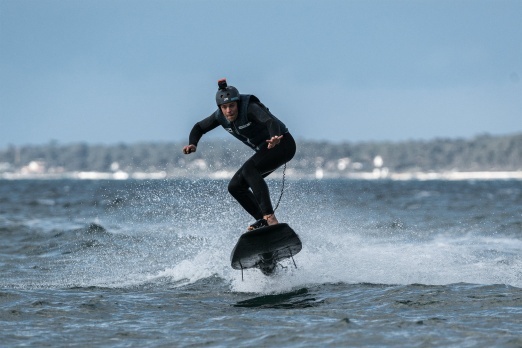 The Awake RÄVIK electric jetboard offers (according to the manufacturer) a top speed of 30 knots or 56 km/h with an acceleration from 0 – 50 km/h in just 4 seconds. You can see on the pictures that it is a race board for high speeds. 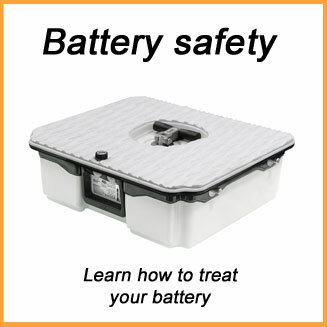 The battery can be exchanged and offers a 40 minutes run time at only 80 minutes charging time. 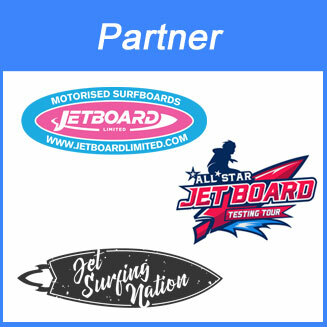 This sounds impressive and we are looking forward to test it on our own. 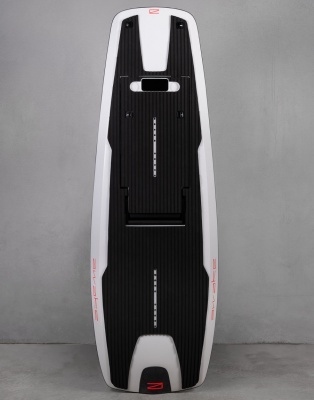 The Carbon fibre body has the dimensions of 179 x 61 x 19 cm and a weight of 35 kg including the battery. 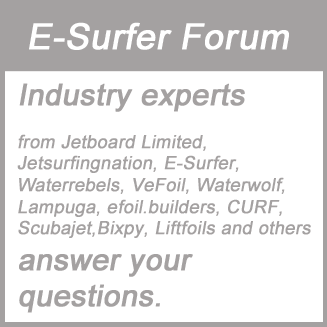 So how much is the board? 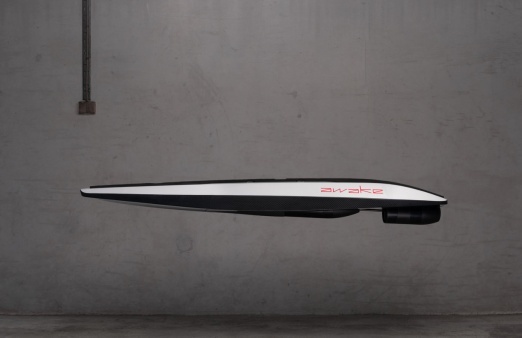 The Awake RÄVIK is for sale at 18,900 EUR plus VAT and shipping fees. 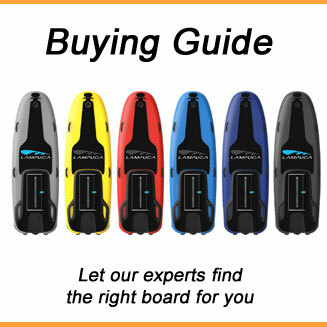 This price tag makes the board one of the more expensive electric surfboards, such like Lampuga Boost or the CURF e-jetboard. 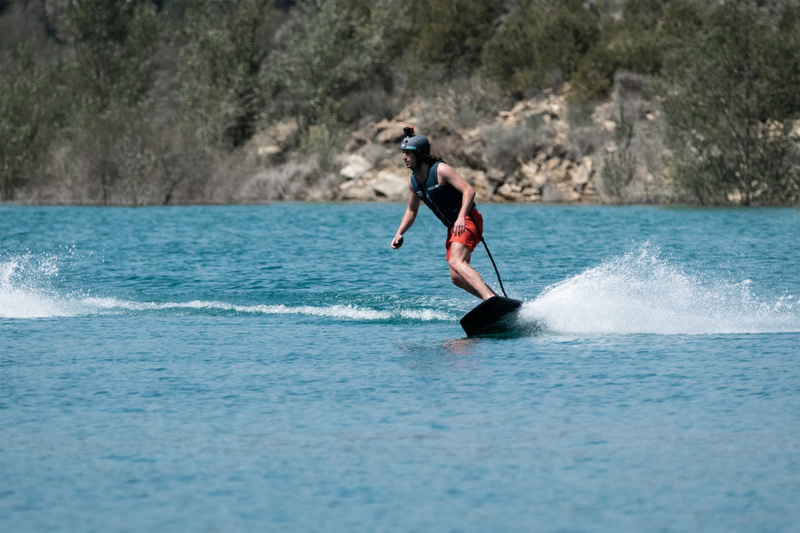 More information at awakeboards.com. You might be still able to register to participate in the 2018 pre-order as it is not inexpensive. 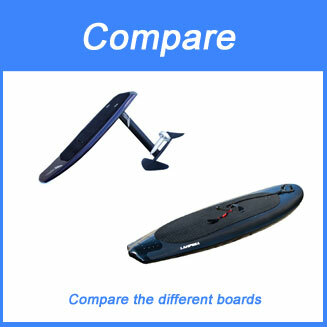 You can also compare the Awake surfboard with other electric jetboards in our comparison.